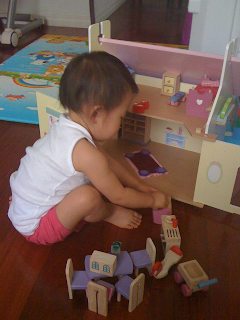 Kenzie received the Lily's Cottage Dollhouse from Imagine Toys. 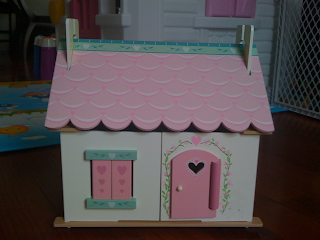 I assembled it in 5 minutes while Kenzie was napping. The "interior decorating" took about 10 minutes because I was looking to replicate the photo on the box. 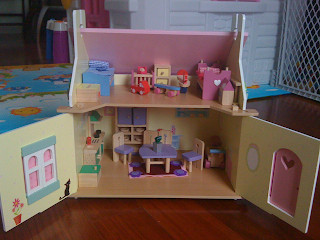 I've never had a dollhouse so yes there was a slight learning curve! From first glance I could tell that the materials were of good quality and will most likely last throughout Kenzie's childhood. The miniature decor is adorable. 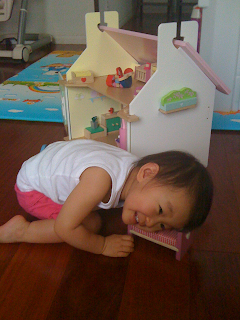 Kenzie woke up from her nap and was pleasantly surprised with her new dollhouse. She immediately opened the doors and started pulling out items. She even went "nite nite" on the bed and "pushed" the stroller. She also tried to "sit" on the miniature chair - toe first of course. 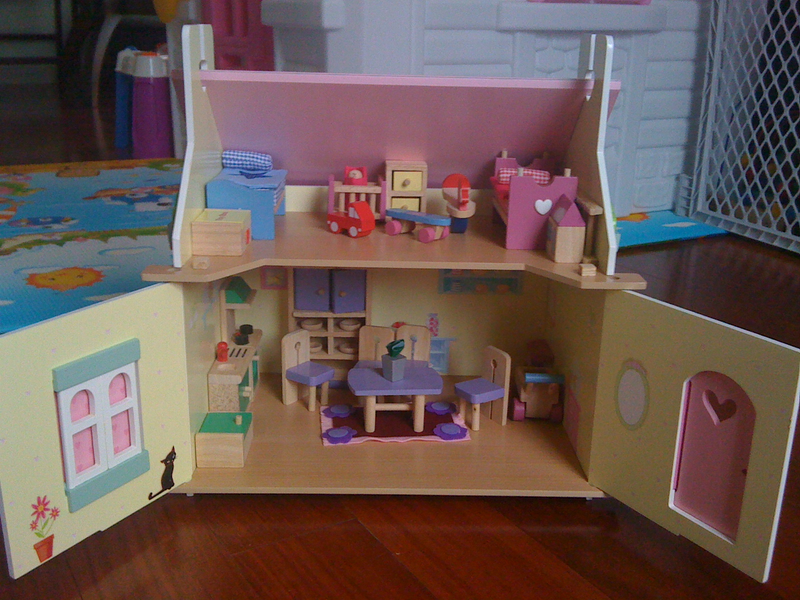 This dollhouse comes with so many standard accessories - beds, dining table/chairs, kitchen appliances, toy chest, crib with baby, rocking toy, a plant, a skateboard, a ladder and much much more! I, like most parents, think my child is a genius. Well maybe not quite genius in the literal sense but more on the side of she is well beyond her 1 1/2 years of age. Although this toy is recommended for children 3+, as long as I remove the small plates (for the curio cabinet of course), I believe she can safely play with it. This is a fantastic house to foster Kenzie's imagination. So cute! I would love one for my baby.